Whether by foot or car, bicycle or boat, a trip to Madison County wouldn’t be complete without a visit to the covered bridges. All can be accessed by car or bicycle, but in the summer, we think there’s no better way than by boat! 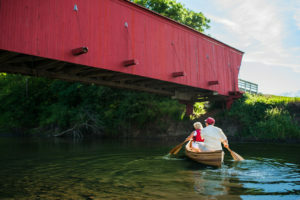 The Middle River Water Trail offers access to both the Roseman Covered Bridge and the Holliwell Covered Bridge. Don’t own a canoe or kayak? Rent one from Middle River Rentals, and they will transport you to the “putting in” location and pick you up when you’re finished. Sip on a locally-made hard apple cider at Winterset Cidery, or imbibe at one of the county’s three local wineries (Covered Bridges Winery, Madison County Winery, and Two Saints Winery). All offer tastings, indoor (or outdoor) seating, and live music on certain nights. Check each website for details. 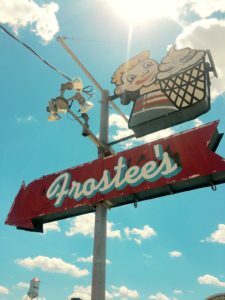 If a “cold one” to you means a soft-serve ice cream cone or shake, then by all means, stop by Frostee’s to tie one on. Open only seasonally, it just isn’t summer around here without them. Located at 101 E. Green Street in Winterset. Fish on! Madison County parks provide for a multitude of fishing opportunities for anglers. Iowa’s most popular game fish, the Channel Catfish, can be easily caught in all of the river systems in Madison County. Excellent pan fishing opportunities (Bluegills, Bass and Crappie) also abound in each of the public ponds, lakes and impoundments found in various County, State and municipal parks in Madison County. For more information, click here. 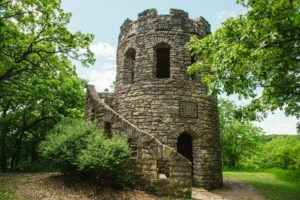 Hike, bike (or drive) up to Clark Tower in Winterset’s City Park. It’s one mile up (and one mile down) to reach one of the state’s most popular “hidden gems” from the main part of the park. This three-story limestone monument to one of the county’s first settlers offers an extraordinary view of the Middle River Valley. While you’re at City Park, enjoy a picnic at one of the park’s shelters or on the grass near the stone bridge (just like Robert and Francesca in The Bridges of Madison County). Play pioneer at the 18-acre Madison County Historical Complex. Admission is just $5 per person and includes the two-story museum of local historical artifacts, the Bevington-Kaser Victorian mansion, and 14 different authentic buildings, including a one-room schoolhouse, gas station, blacksmith shop, and a huge barn full of antique farming equipment. The third annual Hinterland Music Festival will once again take place in St. Charles at the Avenue of the Saints Amphitheater on August 4th and 5th. This family-friendly event is for those who love music and the outdoors. For tickets and the full lineup, visit www.hinterlandiowa.com. 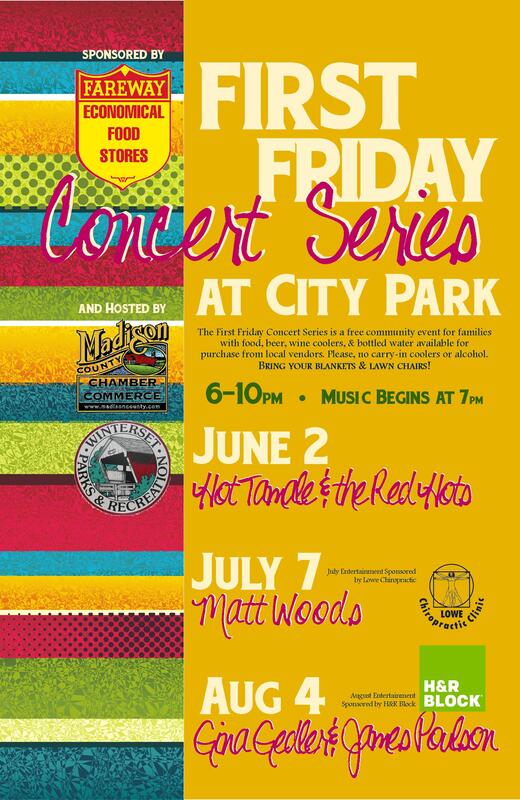 If you’re in the mood for something much smaller than Hinterland, check out the First Friday Concert Series at Winterset’s City Park. Food and beverages are offered starting at 6:00 pm and the music starts at 7:00 pm. 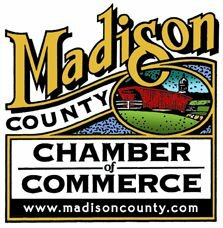 For all this and more, visit our website or call the Madison County Chamber of Commerce’s Welcome Center at (515) 462-1185.